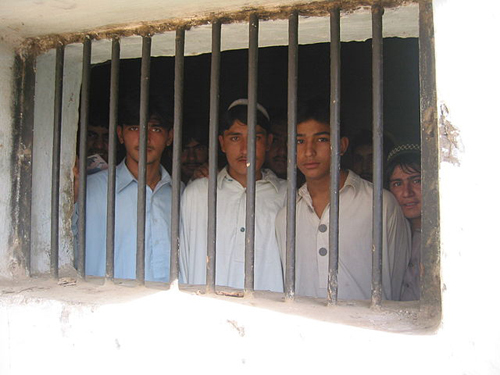 Children imprisoned in the Bannu Jail in Pakistan. According to Wikipedia, the conditions in the jails in Pakistan are deplorable; most of the prisons are more than 100 years old. 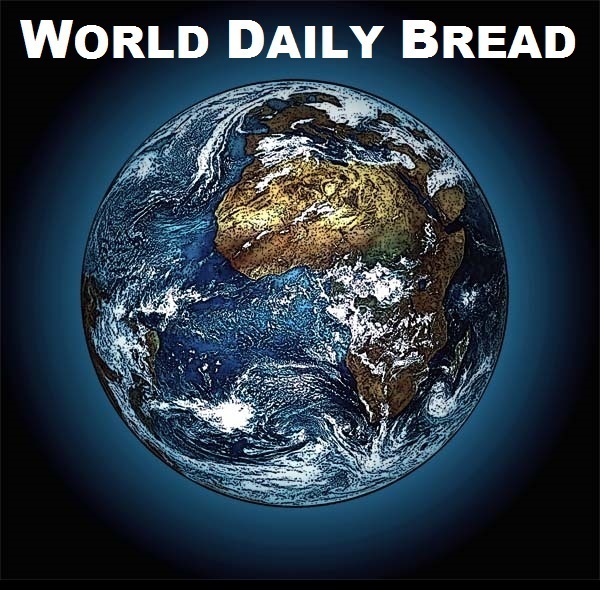 Until a new world order emerges – which will surely emerge if there is a good God somewhere in the universe waiting to usher it on earth – there will always be criminals in every society, and there will always be prisons to contain crime and restrain the criminals. The alarming truth is that, only a fraction of people who deserve to go to jail are behind iron bars today. I don’t mean the murderers and the terrorists and such supercriminals. I mean the lesser criminals, who are spending a few months or a few years in their cells for crimes ranging from embezzlement and robbery to wifebashing and social menacing – any of those acts considered grave enough to justify a prison sentence. I think less than one percent of one percent of such criminals are caught and incarcerated. 99.9 percent of such criminals are walking free in our midst as our ordinary neighbors, colleagues, fellow commuters, fellow citizens. I personally know not just a few, but many such ‘criminals’ who would have been sentenced to long terms in prison had they been caught. All of them are ordinary people, of no real harm beyond causing a little undetected damage to society now and then. The point is, if you exclude the rapists and the killers and the kidnappers, the prisons are filled with people who are not a danger to society and who do not deserve to serve time in the same way or same place as the deadly criminals. These people should be shown mercy. A new way to bring such criminals to justice should be urgently conceived and implemented by all conscientious governments. As for the deadly criminals, they are our fellow humans. They have turned beast because of circumstances, or upbringing. They cannot be released into society until there is evidence of their reformation. However, in administering justice, mercy should never be overlooked. Mercy in the cases of criminals who cannot be let out into society lest they endanger more lives, can be shown through a reformed prison system. Mercy is not bound by the limits of criminality. Mercy can be shown at any level of lawbreaking. How this mercy can be shown, without compromising on public safety, is one of the core messages of this website. My message, ‘Punish the Criminal, Not His Family Too’, covers the first and most important aspect of mercy to prisoners. Please read it, and see if you can use your influence to contribute in some small or significant way to initiate a great reformation in your country’s prison system.